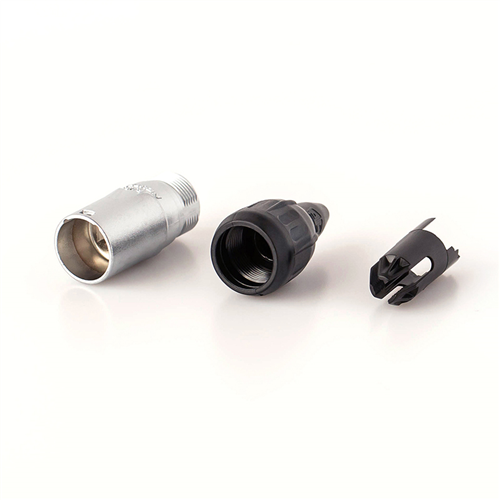 Cable connector carrier consists of a velour chromiuim shell, chuck and boot. The boot is suitable for cable diameters from 5 - 8 mm. For non pre-assembled cables only. Cable connector carrier does not include a RJ45 plug. The etherCON cable connector carrier upgrades a conventional RJ45 connector to an extremely robust, outdoor protected lockable solution (IP65 & UL50E). ATTENTION: Does not intermate with the CAT6 chassis connectors NE8FDY-C6 and NE8FDY-C6-B.